Following on from the successful launch of the Arbor Hyde Park, the Arbor City is latest luxury Arbor property to open located on the opposite side of London. Where the hipster hang-outs meet the financial centre of the City this is the latest hotel to open in the most exciting area of the most exciting city. In an area notable for its nightlife, the Arbor City contributes to this vibrant part of town with a locally renown cocktail bar, a private cinema screening room complete patio garden and a bright and airy restaurant. Upstairs, there are 115 sumptuous guest bedrooms completely refurbished in 2015 and guaranteed to provide you with a well-deserved sleep. Finally, the hotel has a whole floor given over to meetings and events with the flexibility to host anything from a board meeting to a private party. The Arbor City is conveniently positioned next to Aldgate East underground station and walking distance to both Fenchurch Street and Liverpool Street mainline stations in an excellent spot for wherever you may be coming from or going to. With the levels of service and attention to detail only associated with Arbor Hotels, our guests are assured of genuine comfort and convenience. For an additional charge, a 24-Hour Secure Car Park is available at the rear of the hotel with direct access to Reception. 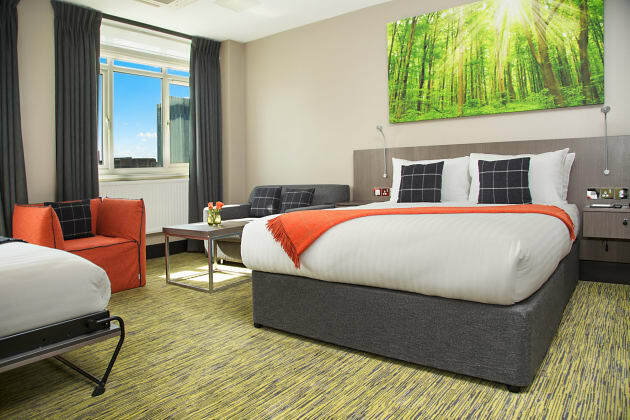 Conveniently positioned for visiting central London, this newly refurbished 4-star hotel is situated moments from Aldgate East Underground station, within easy reach of the Tower of London and St Paul’s Cathedral. 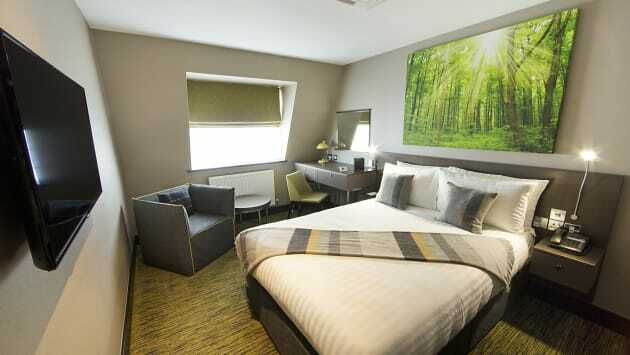 The comfortable, air-conditioned rooms feature a range of modern conveniences, including free wi-fi access, flatscreen TVs, desks and private bathrooms. After exploring the city return to a delicious meal at the hotel restaurant followed by a drink in the funky lounge bar. In the heart of London’s financial district, steps from Tower Bridge and the trendy Spitalfields Market, the sleek and modern Marlin Aldgate Tower Bridge are a great selection of apartments with an enviable central setting. A TripAdvisor Certificate of Excellence winner, each apartment is designed to be an affordable haven, filled with homely features. 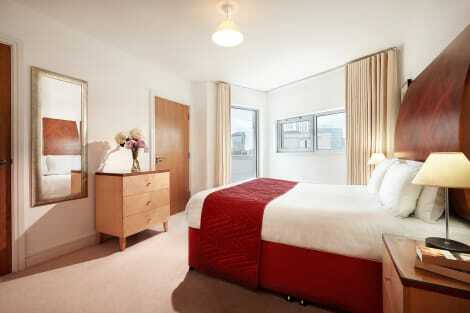 After a long day, relax in modern surroundings with fully equipped kitchens, free wi-fi and flatscreen TVs. Please note the apartments reserves the right to pre-authorise credit cards on arrival at least GBP 200. Reservations made for weekend days may be pre-authorised up to GBP 500. You will also be required to provide the card used to make the booking plus photographic identification of the cardholder on arrival. With a stay at Altitude Point in London (Tower Hamlets), you'll be a 4-minute walk from Brick Lane and 15 minutes by foot from The Gherkin. 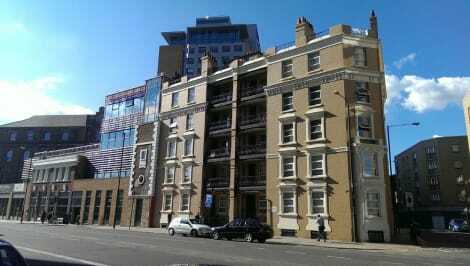 This 4-star apartment is 0.7 mi (1.1 km) from Liverpool Street and 0.8 mi (1.3 km) from Tower of London. Located in the heart of East London, Tower Hill One is just over 5 minutes’ walk from both Aldgate and Aldgate East Tube stations. Brick Lane and Old Spitalfields Markets can both be reached in 10 minutes on foot. Free WiFi is available in each Tower Hill apartment, along with a fully equipped kitchen with all necessary cooking facilities and a spacious living area with flat-screen TV. The shopping district of Oxford Street, Buckingham Palace and the Houses of Parliament can all be reached within a 30-minute Tube ride from Aldgate East station.